Bought a cheap Chinese eBay gimbal for my GH3. Works good for $284 bucks. 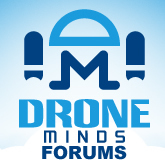 Discussion in 'General Drone Forums' started by photojunky, Aug 19, 2018. The jello effect is my fault since I have not balanced the props and the gimbal is loosely mounts for the quick flight. I will definitely be doing some more tests with this one.